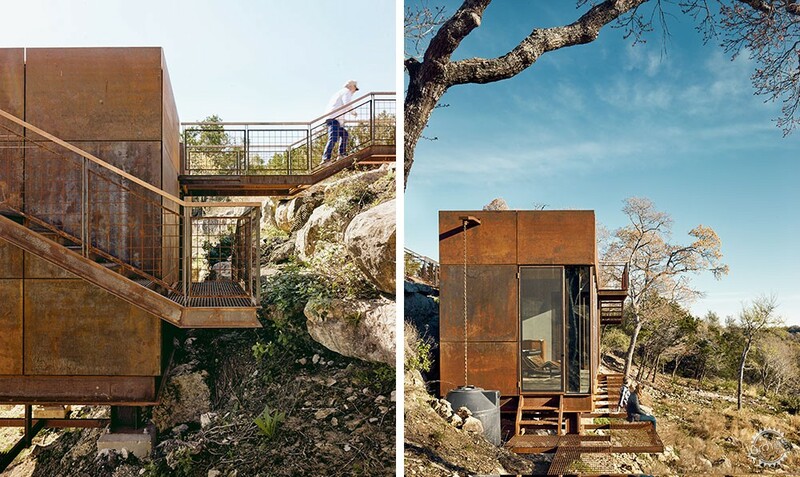 Texas firm Lemmo Architecture and Design has clad this hunting lookout and writer's studio in weathering steel, to disguise the structure against the arid landscape. 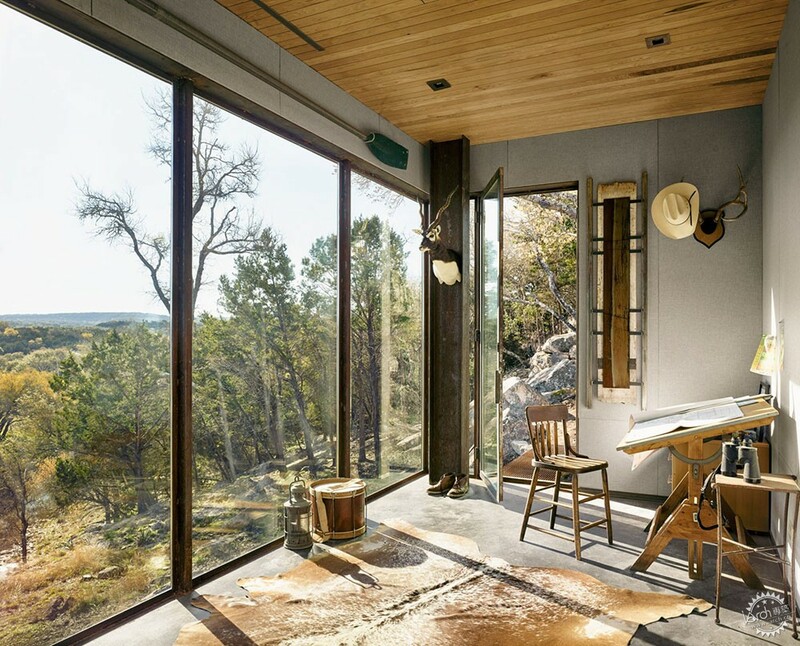 A 40-minute drive from Austin, Clear Rock Lookout perches on a steep limestone cliff that forms part of a 1,000-acre (405-hectare) ranch in Texas Hill Country. 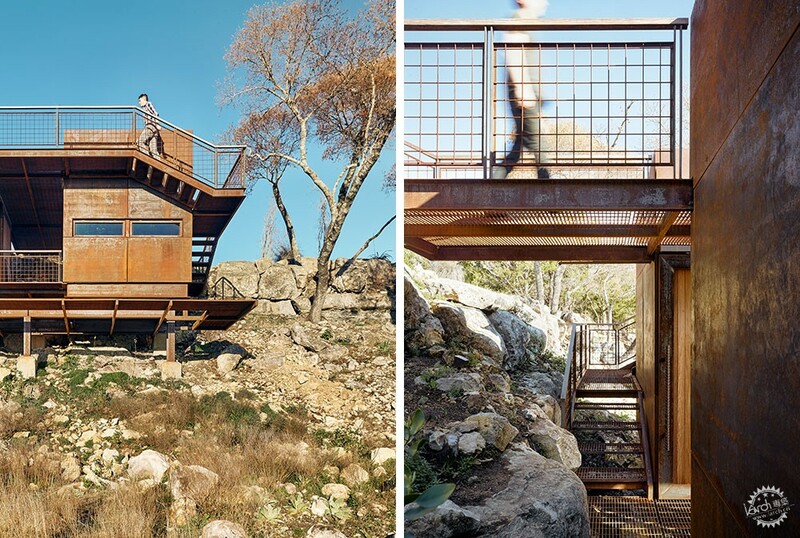 The building – designed by Stephanie and Ryan Lemmo of Lemmo Architecture and Design – is intended as both a writing and drawing studio, and a hunting blind, so needed an optimum vantage point of the surroundings and to be camouflaged against the terrain. 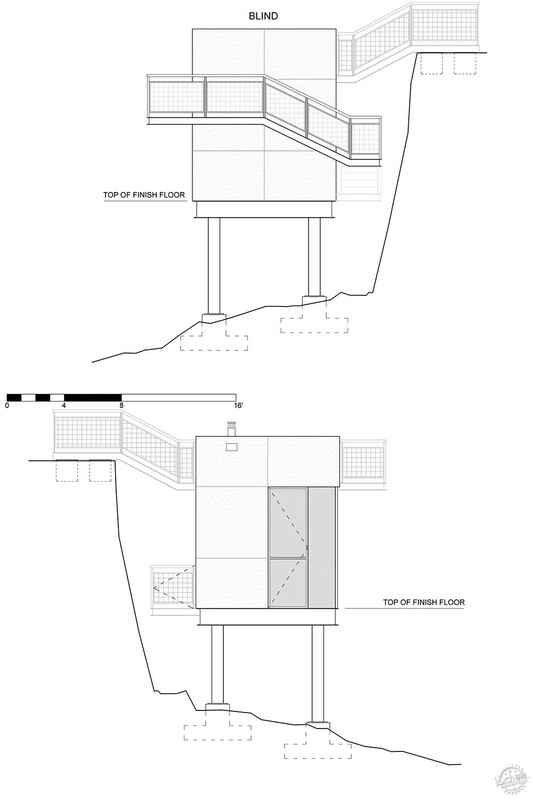 "The site was specifically chosen for its views by the owner, after years of slowly traversing and mapping the wooded cliff edge," the team said. 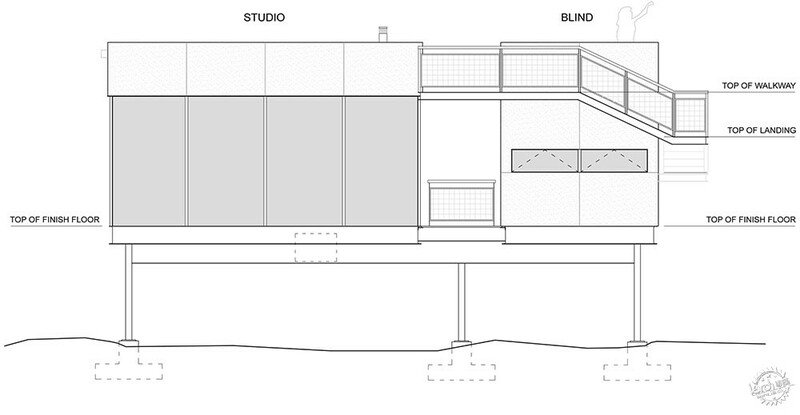 The single-storey studio measures 450 square feet (42 square metres). 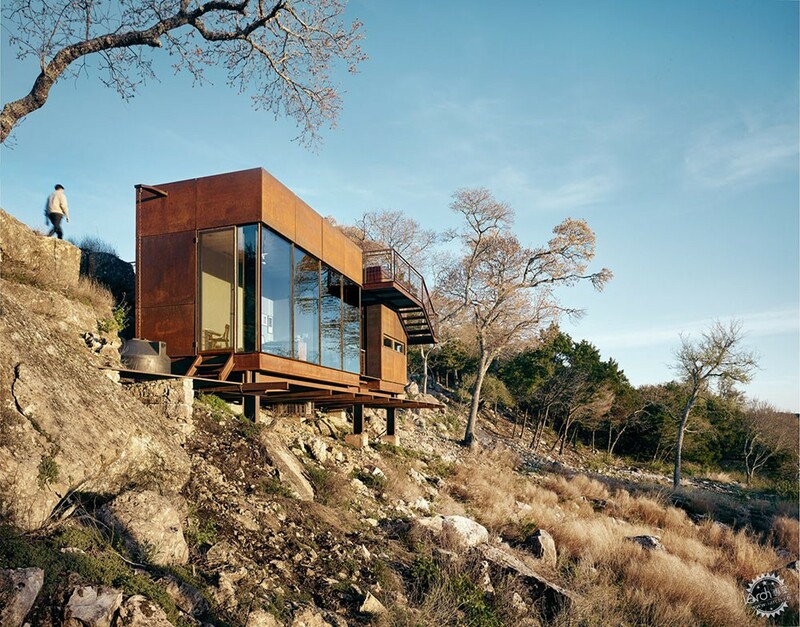 Topped with a flat roof, the simple rectangular structure is clad in rust-coloured metal to match the dusty landscape and reduce the chance of detection by wildlife. 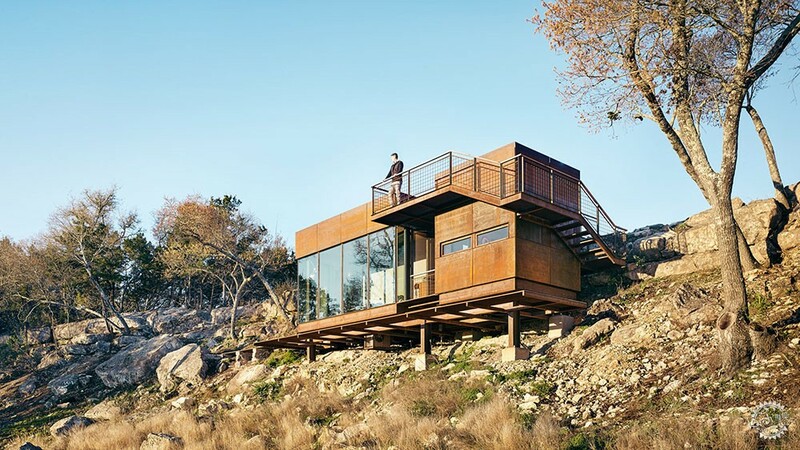 The steel exterior also pays homage to the owner's youth, which was spent welding oil tanks. 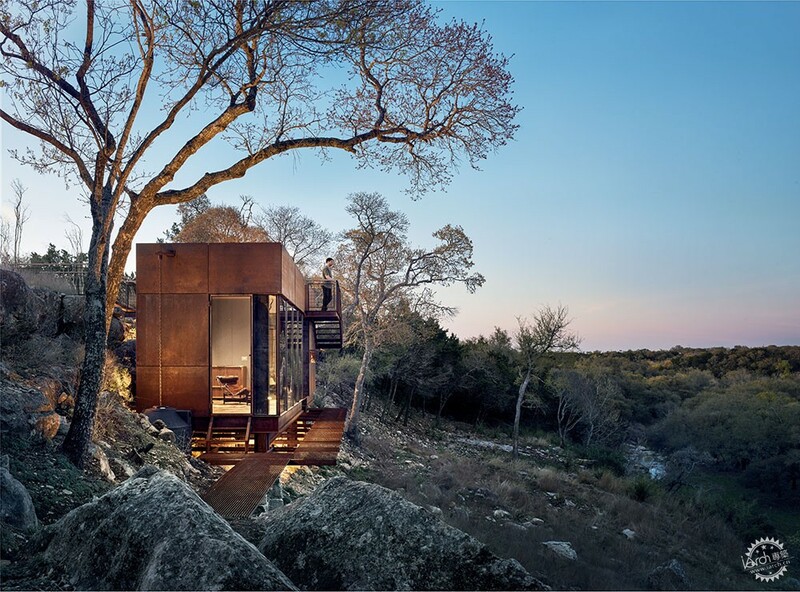 The modern form contrasts with the traditional Hill Country vernacular, which typically comprises wood, gables and low-lying forms. To access Clear Rock Lookout, one must walk from a mesa – a flat-topped hill with steep sides – across a grated metal footbridge and past an enclosed observation deck. 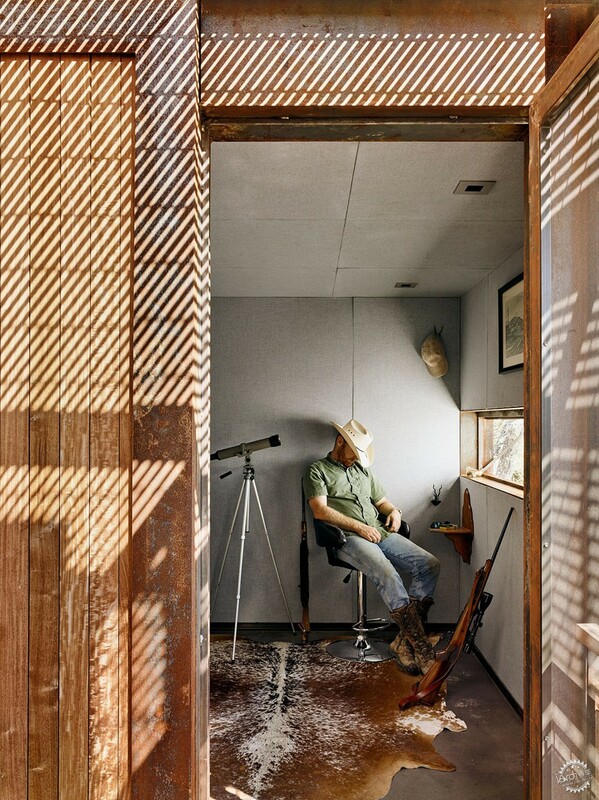 Outdoor steps wrap around the building and lead down to the studio, which is lined in floor-to-ceiling glass walls, and the hunting blind, where a narrow window is used for propping up guns. 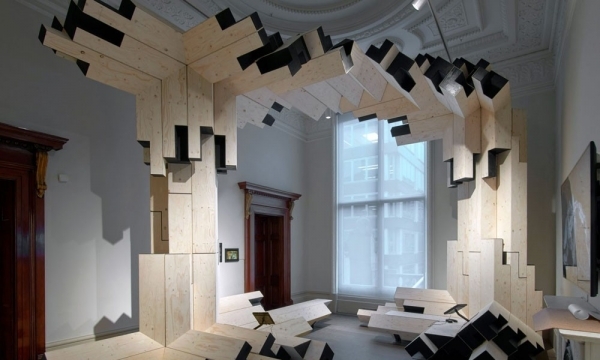 "This gradual reveal of the building strengthens the unfolding landscape panorama made possible from the unique vantage provided by the structure," the studio said. Light grey walls, concrete floors and pale wood ceiling panels form the interior. 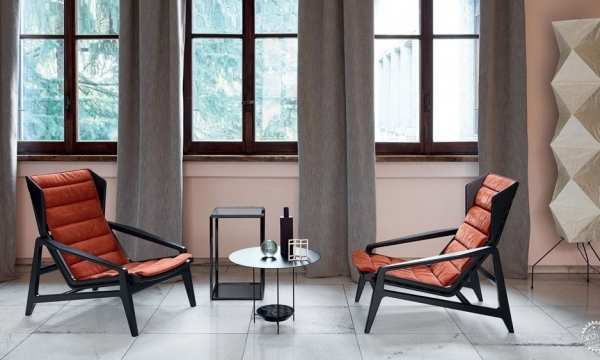 Vintage furniture, cowhide rugs, and decorative yet practical pieces like a lantern, a drum and cowboy hats, accent the rooms. 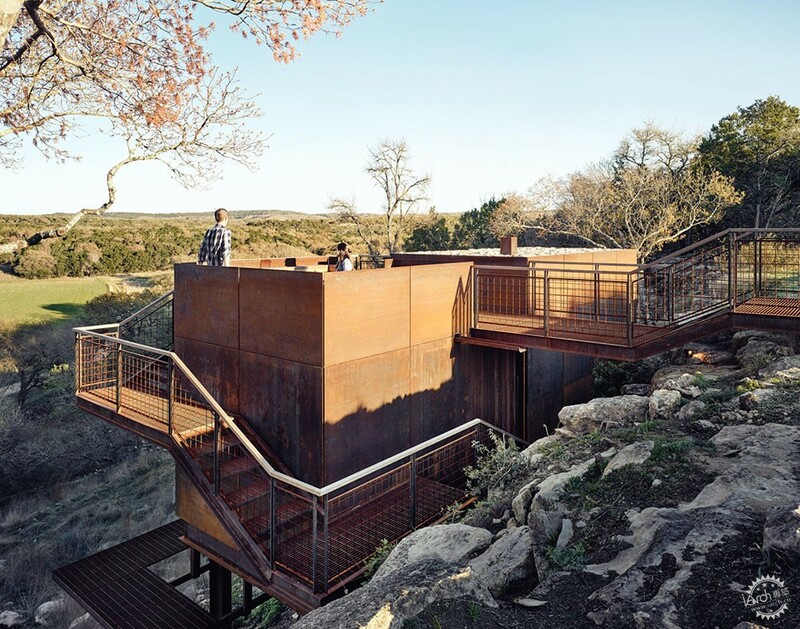 Clear Rock Lookout was one of Lemmo Architecture and Design's first commissions, and received an AIA Austin award in 2017. 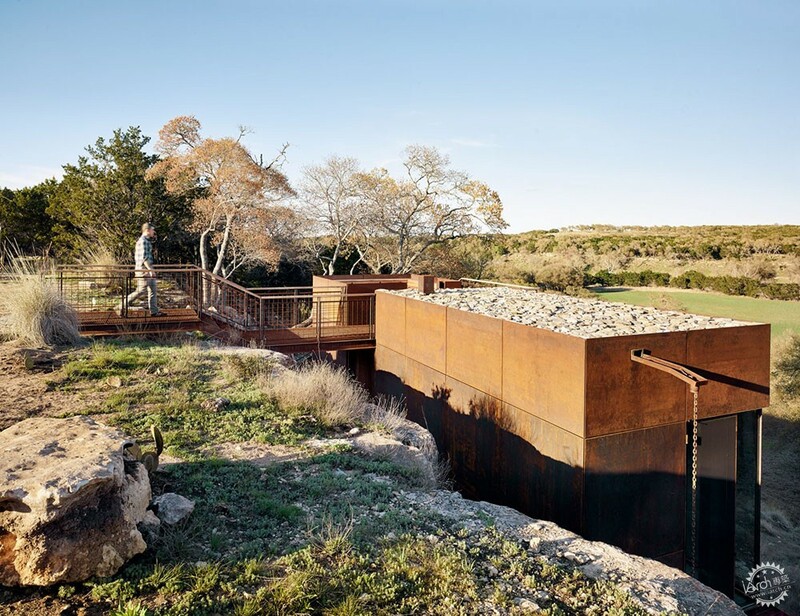 Other projects in Texas Hill Country include a tiered waterfront home with ample outdoor areas by Lake Flato, a low-lying sustainable residence by Miró Rivera Architects and a glass house with modernist cues by North Arrow Studio.